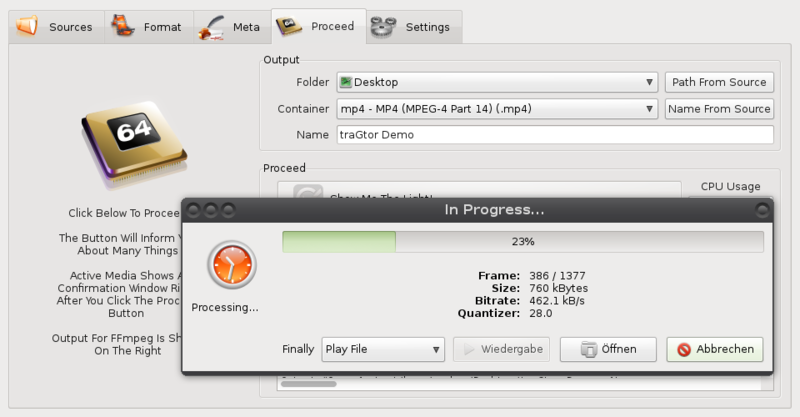 traGtor is a highly popular graphical user interface (GUI) for the de-/encoders FFmpeg and AVconv. 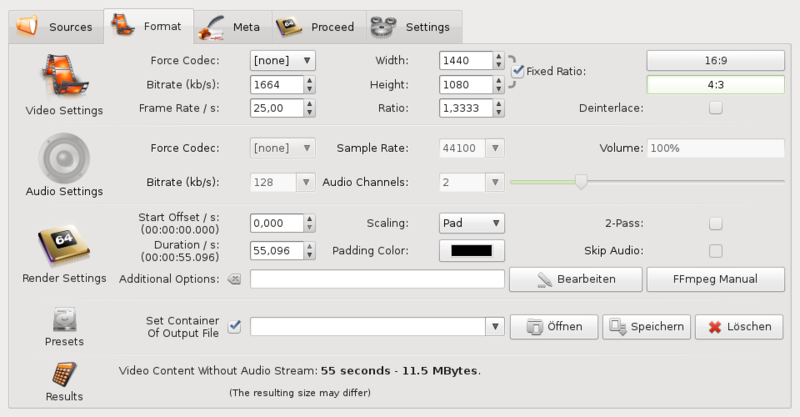 It is exclusively developed for Linux desktops using GTK and is written in Python. traGtor was introduced in 2007 and has significantly enhanced since. It is available in seven languages by now and was downloaded hundreds of thousands of times from my personal DEB repository. traGtor is ported to most of the Linux distributions and is on-hand in all major package management systems. The program was mentioned in an article in the popular computer magazine "c't" in 2009. The image gallery shows the different pages of traGtor, the video below explains how to join a JPG and a MP3 to create a MP4 video with a still image.